Waves of red washed over her shapely body, it dripped on the floor and washed itself down the drain, between every crevasse it "cleaned" her up, her hair which happened to be a similiar stark reddish color was very long and ran past her hips. Few could have matched her beauty so it was a shame that she had to hide it using spells. But it could not be helped in these trying times, most creatures where simply better off not knowing her true nature. Working for the british royal family was less than endearing, it had been fun enough in the start fifty years ago, but over time it had become a rather boring activity it would be time to move places again, maybe this time something a little more exciting. She was sure she had said those same words in the past. But a change of pace was never wrong, she thought as she hummed a specific song in the shower. She turned off the shower and stepped out, her hair spread itself as she whipped her hand out with a single motion of her arm, the hair curled itself and dried up in an instant before the hair settled down again. Her clothes danced in the room before they wrapped themselfes around her, all she had to do was to spread her arms and her clothes came magically flying. She then proceeded to cast glamour onto herself, it would have been troublesome if someone saw her in her current form. Rather than the pretty young lady now there stood an elderly woman in her fifties who appeared to have seen better days. She walked next to her desk in the next room, she taking a seat conjured up an glass orb from seemingly nowhere. The orb seemed to be hovering but eventually landed softly on the desk where a soft pillow rested rightly for this purpose. Just by speaking a few words in latin the magical orb started to show shapes and places in the world, she scrolled her hand and swatted it to the side as if rejecting the images and shapes as they appeared, she didnt seem particularly intrested in anything that she was seeing. A light knock on the door caused her eyebrow to raise, her gaze fell on the door "Come on in" She spoke dryly, a soldier opened the door bowing to her, "excuse me headmaster but you have a guest, should I let her in?" Eire didn't have a chance to respond before the guard was push aside by a delicate set of breasts with a single bump, the soldier was rather embarrassed by this but didn't have a chance to stop the women before her tender lips clasped around the guards. "Ill make it painless for you dear" Eire stood up looking quite annoyed "stop this charade at once what do YOU think your doing here? All she got in return was a moan, that turned into a soulless hiss by the end of it. The feeble corpse of the guard dropped dead before the green demon of lust. The body didn't make much sound when it collapsed, being a dry husk of its former self. The green haired woman ran her finger along the skull of the former guard as she clasped it in her other hand. "I came to offer you a deal you cannot decline..." She said closing the door behind her. Eire glared at the woman in front of her. "Im not in the mood of your antics Plato, I told you to go away and never return bef" Before she could finish Plato spoke again ""This time its real, and its happening sooner than you think, it is about to bloom"
"You said that last time as well, and to top if off you betrayed me, even if it is true and it is going to bloom again, how do I know you wont betray me again? id rather go solo on this one"
Plato took a seat on the sofa next to her still divided by a wide gap. "Why do you always have to make things so complicated? okay ill tell you what, ill reveal everyone here your true nature, how about that? Eire gritted her teeth together. "Are you blackmailing me?" Plato clasped her hands around the skull, wrapping a purple coating of magic around it the skull quickly gained life and started to hover around the room after gaining sentience. Its hollow eyes caught aflame with white flames. Its bone jaw clattered eerily in the room totally changing the mood in the house. "So how will it be? Eire, Yay or Nay?" Plato leaned to face Eire her soft smile widening a bit. Eire sighed "What are you scheming this time?" She wondered but didnt expect an answer, politely plato answered in a rather innocent tone. "Oh i would never dare betray you sister..." She said with a hint of sarcasm in her voice as she giggled. 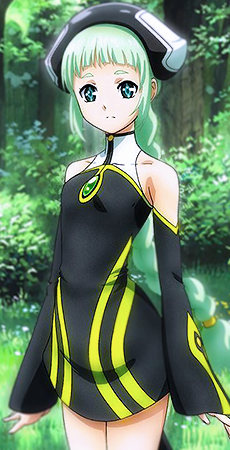 Eire didn`t look convinced if anything she was more suspicious than she was not ten seconds earlier "Stop running your mouth and get on with the plan already..." Eire snarled at the emerald succubus. 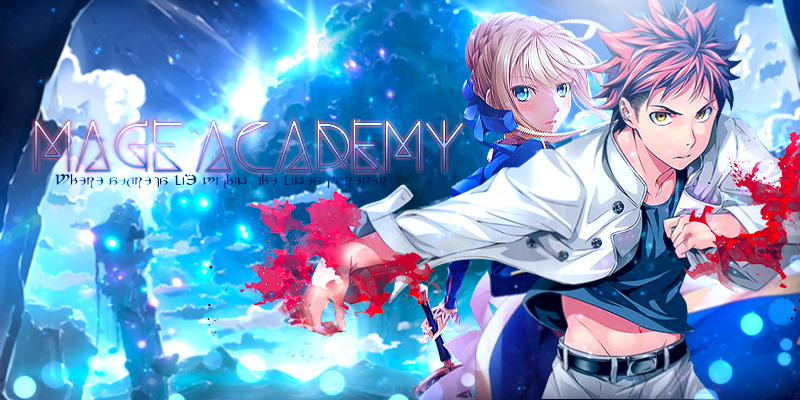 "Patience he`s almost here... ive always wanted to join an academy see, this is our chance to blend in have some fun on the academy`s credit, it will be fun trust me" Eire covered her face with her arm. "That`s your masterplan?" "As i said patience... im not done talking yet..." She said smirking. "Tell me one thing before we go on, what would you do if you attained "that" power?" Plato asked leaning forward and dropping her head on Eire`s lap. Eire reacted to this by catching her on her left hand and tossing her across the room, Plato landed withouth any trouble light like a feather on the floor with the tip of her toes, almost recembling a ballerina had she not been bumping into the corpse on the floor. Eire raised an eyebrow before a slight smirk crossed her face. "If i gained that power, i would bring our king back..." "how boring..." Plato said sounding just like she spelled it out. She sat down on the corpse, swaying her right arm back and forth, the purple skull flying above came back down and stopped moving once it landed on her hand again. "To be or not to be...." she ran her hand trough her hair. Placing the skull down on the floor it went off and started flying again. "Always the optimist... what do you think would happen if we, the witches lodge got united again? do you think the magic council would just let us do as we please? no it would be a war all over again, it would accomplish nothing but killing millions of people... your just like my brother you know, never being able to see the full picture... that is your biggest flaw Eire" Plato stepped up looking at the time on the clock in the room. "he`s late..." no doubt getting caught up into some mortal ploy somewhere. Eire raised an eyebrow... "I didn`t know you had a brother." "Oh he is quite gone now, not sure where he is holed up, not that it matters to me"
Plato brought up her staff the blue orb with spiraling tails twitched around it as it dangled along the staff, "Have you heard the rumors?" Plato asked with a more dignified and serious tone, her sweet caramell voice being almost gone now. Eire raised an eyebrow, how typical of her. "Have you engaged in gossip again?" She retorted in a cold tone of voice. Plato didn`t seem offended or even listening to the witch "all im saying is to watch your back, tevinter spies are on the move"
Eire added "and assassins too for that matter" There had been an attempt on her life when she was out and about in the east not ten days earlier. "So you had first hand experience huh?" Plato responded quite amused. Eire rolled her eyes. "it was a little girl, probably an elf, she didnt have any wings, she was after some red headed girl or another, i told the kid to get some glasses and i guess i pissed her off" She didnt give her a name but the kid was easily offended, must have been pretty damn common in the empire. Plato glanced at an Green haired maid from her orb. She looked awfully a lot like that kid she had met a long time ago... where was that, she appeared in deep thought. Oh right her sister.